Happy Birthday to Gerry Burch! HAPPY BIRTHDAY TO GERRY BURCH! Our thanks to Candace Parsons who shared this picture from her birthday celebration with Gerry over the weekend! The Village of Radium Hot Springs council heard concerns from resident Chris Knight regarding Radium’s Canfor Mill at their July 20th council meeting. Having first addressed his concerns via email before presenting them in person at the meeting, Mr. Knight expressed dismay with the mill’s light pollution, dust, and excessive noise. 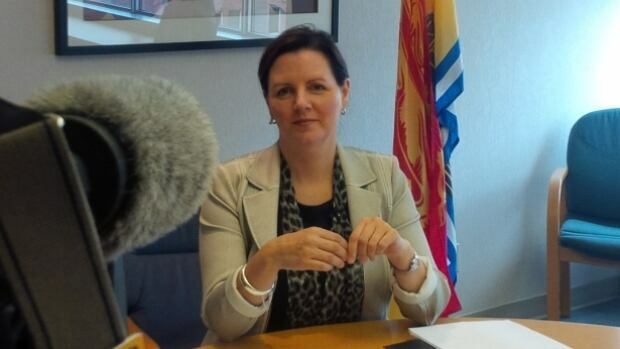 “There are three issues: one is the noise. The noise is not the normal operating noise, it’s the noise that’s made when the equipment is not properly working and it’s a metal on metal noise,” Mr. Knight told The Pioneer after the meeting. It’s not the regular day-to-day operations noise that has him concerned, he said, it’s a distinctive low grinding noise that can be heard from early morning to late evening. With the mill operating from 5 a.m. to 3:30 a.m., operational noises commence just after the 5 a.m. start. Timber harvest last year in the state of Oregon fell to its lowest level since 2008. The Oregon Department of Forestry has identified several reasons for the decline, including a slowing global demand for wood products, the expiration of the U.S. Canadian Lumber Treaty, sluggish housing starts in our country and a huge increase in catastrophic wildfire. The reality is harvest levels from Oregon’s timber lands have always been impacted by outside influences. However, history reminds us that the one constant relative to harvest levels, is change. In fact, we are beginning to see some change in the first two quarters of this year. 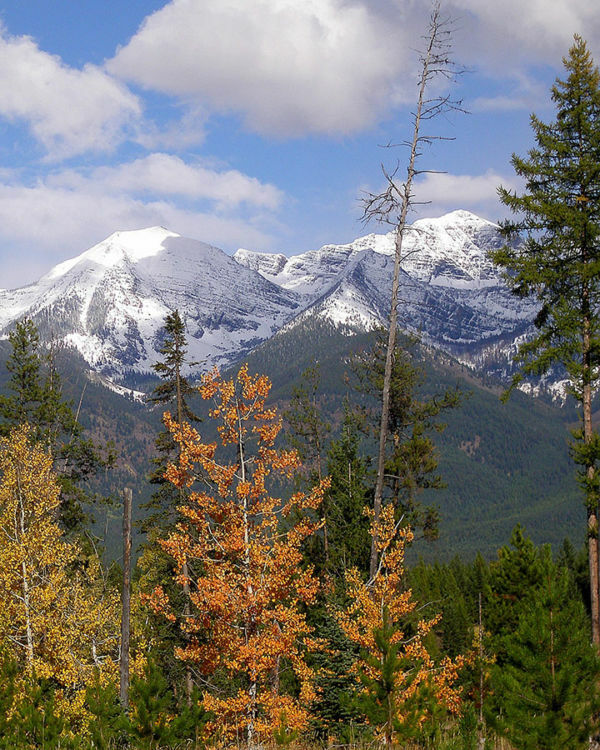 “There is economic growth in the Flathead. Boy, is there ever.” …Canadian spending appears to have dipped due to the strong U.S. dollar in contrast to the loonie. Currently, the loonie is worth roughly 77 cents U.S., meaning a Canadian visitor would have to spend $131 in Canadian currency for $100 in the U.S. Barkey noted that the wood products industry in Northwest Montana is “definitely a cause for concern.” Lumber prices are high but exports to China are down, and the number of new home starts in the U.S. has been lower than analysts expected. Also, the U.S. dollar has gained against most currencies, which has led to an influx of wood products shipped into the country. The expiration of the Softwood Lumber Agreement with Canada has also led to concerns that Canadian producers are flooding the U.S. market. Many of us don’t work in the forest products industry. Why should we care about its economic future? I want to thank Sens. Angus King and Susan Collins and Rep. Bruce Poliquin for drawing attention to the “slow moving hurricane” that is beleaguering the forest products industry in Maine. Their actions have been instrumental in bringing grants totaling over $7 million and an Economic Development Assessment Team to our area this August. I was in the audience at the University of Maine, home of the Forest Bioproducts Research Institute, when the announcements were made on Friday. Poliquin and Maine Forest Products Council Vice President Jim Contino of Verso referred to the $8.5 billion forest products industry and its 34,000 jobs. PORTLAND, Maine — Maine’s forest products industry has had a tough couple of decades. That’s why political officials gave such plaudits Friday to the U.S. Department of Commerce. The agency allocated $1.5 million to help Maine find a way forward for the industry, which has been hit from multiple sides. Numerous mill closures have highlighted headwinds for the industry, leaving mill workers to upend their lives either to stay in the industry or to find a way out. That leaves the money announced Friday with some big shoes to fill, particularly as Maine’s paper industry supplies about $226 million less in annual wages than it did fewer than 20 years ago. Paper’s economic weight has dwindled since 2000. Paper manufacturing payrolls made up about 4.5 percent of wages in the state in 2000, at about $636 million that year. There is one group that’s really going to miss Concord’s unique wood-powered steam heating system as it shuts down over the next year or two: Loggers. “It’s a link in the chain – and you know what happens when you take a link out,” said Marlo Herrick, who owns Hopkinton Forestry and LandClearing with her husband, David. Hopkinton Forestry is one of several land-clearing companies that for years has chipped low-grade wood like treetops and limbs at logging sites and sold the chips to Concord Steam, which burns around 50,000 tons of such chips each year to power the state’s only municipal district heating system. …But not for much longer. Concord Steam Corp., which has struggled with financial and equipment issues for years, recently agreed to be bought by Liberty Utilities for $1.9 million. and decking to the Iowa City-area builders, contractors and landlords. Significant rises in New Zealand carbon prices and positive prospects for exported timber may signal a renaissance for forest plantings, with new opportunities for landowners and investors alike in coming years. Since April the value of carbon prices in New Zealand have almost doubled to $18/tonne after languishing as low as $2.50 a tonne only two years ago. Meantime log prices have remained relatively firm, sitting $15 a tonne above their five year average with some strong price signals over the past year coming from traditional markets including China and increasing market share to India and South Korea. As of May export values were up 6% in value on a year to year basis. Bayleys Waikato agent and forest specialist Mark Dawe advised they have had enquiry from a wide range of potential buyers in recent months. Lumber production in Russia increased by 4.4% in June vis à vis the comparative month last year to some 2 m m³. According to the Russian statistics authority, Rosstat, production has been above the figures recorded for comparative months of the preceding year since February. In February and March increases of approximately 2% had been recorded. More significant increase rates were then recorded for April (+4%) and May (+7.5%). Barrels are marvelous things. Elegantly designed, aesthetically appealing, and extraordinarily efficient, barrels not only provide a space-savvy way to store aging whiskey, they also actually play an essential role in the whiskey’s maturation as it sits – a claim not many packages can make (looking at you, candy bar wrappers). But barrels don’t grow on trees – they’re made from them. Just about all whiskey barrels are made from oak, a long-lived hardwood tree with several different usable species. But it’s not as simple as just cutting down a tree; the wood must be specially processed to create the whiskey barrel staves that will form the barrel. Is Conflict Brewing Between Mass Timber and Concrete? Efforts to spur the use of mass timber products as a safe and sustainable building material for mid-rise construction projects is already meeting with concerted pushback from the concrete sector. Many engineering experts contend that recent technological advances have made mass timber products a safe and viable construction material for mid-rise buildings. This development promises to boost the use of timber for multi-storey projects in particular, and provide the construction industry with a sustainable, endlessly renewable building material. Some are concerned, however, that the promotion of mass timber as a sustainable construction product threatens to cut into the vast market share enjoyed by concrete, which has been the perennial material of choice for large-scale building projects since time immemorial. Colorado Timberframe employees worked 24 hours a day, six days a week for 11 months straight, cutting wood to build the largest freestanding timber-frame structure in the world: a life-size replica of Noah’s Ark, as described in the Bible. The crew sent 180 semi-trucks filled with timber components to Williamstown, Ky., where they oversaw construction of the Ark Encounter, a sister attraction to Answers In Genesis‘ Creation Museum about an hour away. “It was an amazing honor,” said Colorado Timberframe president Keenan Tompkins. “No one has done this before.” “Except for Noah,” joked Jason Schimpf, lead installer. 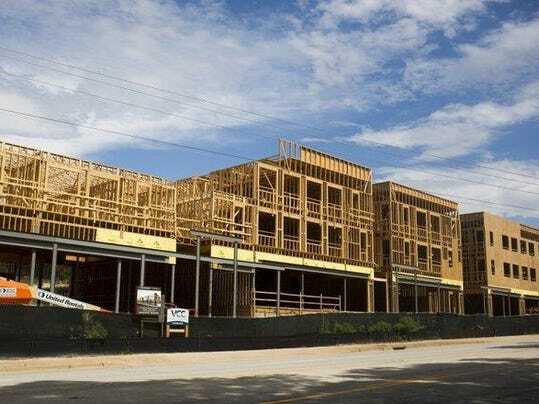 CLEMSON — There is an on-going disagreement about whether wood frame construction should be allowed for the taller apartment buildings popping up around Clemson. Local construction engineer and critic Derek Hodgin says the city shouldn’t allow it. But city officials say state law prevents them from denying developers that option. Hodgin said the solution would be for city officials to require concrete and/or steel construction for such multistory projects. He said wood frames are more susceptible to gravity, water intrusion and weathering over time. That, in turn, could lead to ugly buildings that suffer from more and quicker degradation of roofs, interior walls and exterior brick, stucco and other facings. The Integrated Design Building at the University of Massachusetts, Amherst (UMass) is showing Americans how to build with mass timber—with a little help from Canadian experts. It’s also breaking records by featuring what’s believed to be the largest installation of wood-concrete composite floors in North America. …But Clouston [associate professor, Building and Construction Technology at UMass] had a secret weapon, earning her engineering degree at the University of British Columbia where she studied under experts well versed in wood construction. Following a series of presentations …campus planners agreed to produce a cost analysis comparing Type 2B unprotected steel with heavy timber. …The project received technical support from Wood WORKS!, a campaign by the Canadian Wood Council and US Wood Products Council to promote the use of wood in commercial, industrial and institutional construction. Washington, D.C. — This fall, the National Building Museum will challenge the notion that wood is an antiquated building material when it opens Timber City. The new exhibition will demonstrate the wide range of benefits offered by cutting-edge methods of timber construction, including surprising strength, fire resistance, sustainability, and beauty. The exhibition will open September 17, 2016 and run through May 21, 2017. Timber City will illustrate the value of timber as a modern, strong, and versatile building material through featured projects. …the exhibition will examine the recent boom in timber construction worldwide and highlight U.S.-based projects, including the two competition winners of the recent Tall Wood Building Prize, sponsored by the U.S. Department of Agriculture (USDA). The first shipment of Cross Laminated Timber – a product used as an alternative to steel and concrete- has arrived onsite for what will become Australia’s largest tall timber building at Campbelltown – ‘The Gardens’ – the largest affordable housing project to be delivered without any government funding. The almost-3000 cubic meters of Cross Laminated Timber (CLT) arriving in 78 shipping containers from Austria, will make it the largest CLT project in Australia by volume of timber and is being developed by Tier 1 affordable housing provider BlueCHP Limited. The three-tower residential development consisting of 101 apartments is well under way with basement and concrete podium constructed and ready for the first CLT panels being installed this week. Research suggests pine trees with strong natural defences are their own worst enemy when it comes to the destructive mountain pine beetle. 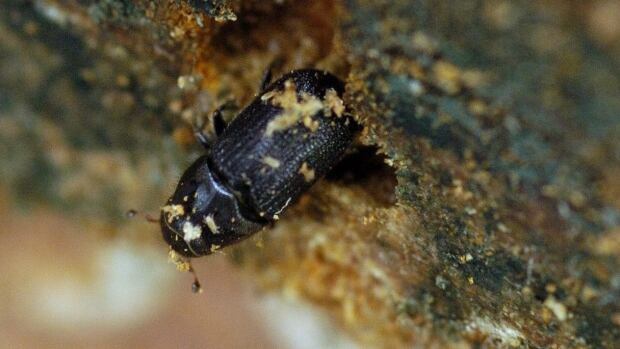 Although the sap produced by the lodgepole pine is toxic to the beetles, the smell of the sap can attract large numbers of the tiny bugs that can collectively end up killing a tree. Prof. Mary Reid, a University of Calgary researcher, says toxic chemicals in the resin within a healthy pine can ward off a few beetles, but not a swarm. “They are effective, but it could be that because they’re also attractive that there can be enough beetles that can pour into that tree and kill the tree even though the individual beetles don’t really do that well,” Reid said. Life can be nasty, brutish and short for Edmonton’s street trees, stuck growing in small tree pits between a sidewalk and a heavily-compacted road. Starved of space to spread their roots, 85 trees on 124 Street died in the past three years alone, 40 per cent of the tree canopy. The others are scrawny. Planted years ago, they still give almost no shade or any of the other benefits that come with a mature canopy such as cleaner air, increased oxygen and reduced stormwater runoff. Fortunately, new technology is starting to make a difference elsewhere. Small plastic tables stacked underground and filled with good, un-compacted soil can give the trees the space they need, even under the sidewalk or parking space. Edmonton made a new commitment this spring to at least triple the amount of soil it requires for street trees in city projects. …The industry, Hampton, Stimson, and their lobbyist, the Oregon Forest Industries Council, surely have their eyes set on more logs from increased clear-cutting should Linn County prevail in its lawsuit. Because the clear outcome of the suit — should the state lose — would be a dramatic departure from multi-use forest management toward something resembling the industrial model seen on private forest lands throughout Oregon. Most of the state forest land base is already open to clear-cutting. While many rural counties are experiencing budget shortfalls, increasing clear-cutting on state forests is not a long-term solution — not economically and not ecologically. In the case of Linn County, for example, a 20 percent increase in state forest harvest and revenue would increase the county budget by less than 1 percent. Scientists are zeroing in on a slice of forest in Alaska, using a powerful laser scanner to probe the area and produce unique 3D views of the trees that call the forest home. Earlier this month, scientists working on NASA’s ABoVE field campaign performed ground surveys of a birch forest in the Tanana Valley of interior Alaska. The ground surveys complement data collected in 2014 using the so-called G-LiHT airborne imager, which produces views that can’t be achieved using satellite imagery alone. In a newly released 3D image, varying colors correspond to different tree heights. DOROTHY, W.Va. — Federal workplace safety officials are proposing a $42,600 fine for a West Virginia logging company. The U.S. Occupational Safety and Health Administration announced the 18 violations against Switchback Timber Inc. in a news release Monday. The issues were found at the Bradley-based company’s operations in Dorothy. The administration says Switchback failed to train employees in first-aid and CPR, an issue it was cited for in 2013. It says the company failed to provide leg and face protection; ensure workers wore hardhats; ensure bulldozer drivers buckled up; fully enclose bulldozers to prevent driver injuries, and keep workers from having multiple passengers on machines meant for just one person. CentrePort of Wellington is extending its operations into regions far from its docks. CentrePort’s new facility will be at a site on the edge of Masterton, and will see logs transported to Wellington in bulk, by train, instead of in dribs and drabs by truck. 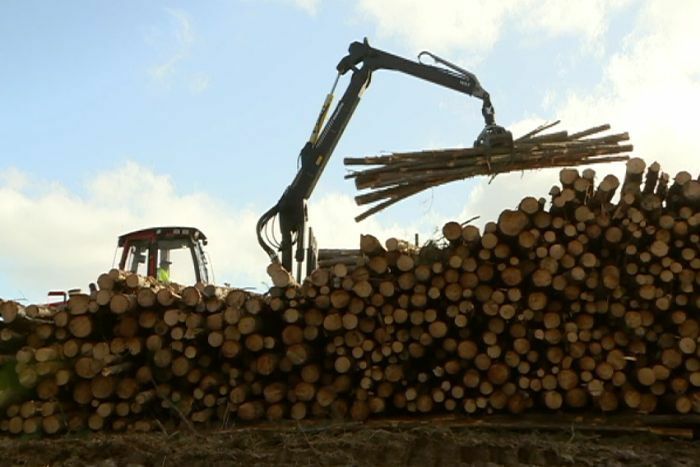 The facility is a joint venture with two forestry companies and is supported by KiwiRail, which said the Masterton facility would avert 16,000 trips across the winding Rimutaka Hill Road by logging trucks each year. This initiative follows a container terminal established in Whanganui and precedes a yet-to-be-announced scheme for Palmerston North. Forestry would stack up better against dairying in the central North Island if environmental factors were taken into account, argues Scion chief executive Dr Warren Parker. Parker, who heads the forestry crown research institute, said forests on the Central Plateau were cut down from 2004 to 2015 to increase capital gain without regard for the best land use. “If you removed the trees and changed to dairy the value of the land went from $8000 a hectare to $40,000. It cost you $15,000/ha to put in the infrastructure but then you walked away with substantial tax-free capital gains,” Parker said. For months locals have been mystified by growing areas of dieback near the Molonglo Gorge nature reserve, east of Canberra. Bungendore resident Bob Nicoll drives along the Kings Highway and past Kowen Forest daily. At first he noticed a small area of damage but as the weeks went on, more and more trees began to die. “Instead of being the normal pine forest green, there started to be a lot of dead and dying trees,” Mr Nicolls said. “I asked people around Bungendore why and nobody knew.” The professional geologist said he needed to get to the bottom of the dieback. Australian forest and forest products innovation tour of the Oregon forest sector. Lynea Advisory, in association with Oregon State University, Oregon Wood Innovation Center and the Institute of Foresters of Australia conducted a forest and forest products innovation tour of the Oregon forest sector this July. Lyndall Bull from Lynea advisory who led the tour said, ‘This 7-night tour focused on innovative techniques and approaches and fostered the love of timber and forests that is shared by foresters worldwide.’ ‘Site visits included engineered wood products, bioenergy producers, softwood lumber, secondary manufacturing and plantations, providing enormous opportunities for Australian forest experts to exchange knowledge with their US counterparts. Forests cover over 30.5 million acres of Oregon, accounting for almost half of the state, and provides over 58 000 living wage jobs. UPDATED 10:50 A.M. – A helicopter has been dumping water on hot spots Sunday morning as flare-ups from the fire have been occurring. The evacuation order put in place for the Okanagan Landing wildfire Saturday night for about 60 residents of Adventure Bay was rescinded Sunday morning. Fire broke out sometime after 8:30 p.m. Saturday on a hill near the Tavistock development above Tronson Road. “The roads are all open and displaced residents are being advised they can return home,” said Vernon Fire Rescue Services Chief Keith Green at 7:15 a.m. Sunday. The fire was a Rank 3 (in severity from 1 to 5) and ground crews from B.C. Wildfire Service were brought in to help Vernon Fire Rescue crews. The Roaring Lion Fire burns above a residence near Hamilton on Sunday. HAMILTON — The Roaring Lion fire has claimed one life and 14 homes southwest of Hamilton. Ravalli County Sheriff Chris Hoffman said conditions had improved enough Monday night to let people back into the burned area. Bruce Lee Robinson, 64, died of cardiac arrest during the mandatory evacuation Sunday from the fast-moving fire. …“It had already doubled in size,” Wilson said. “For every bucket he dropped, he said the fire doubled in size initially. About this time, the volunteers and our engine crew realized this was not something that they could put out. They started focusing their efforts on evacuating people.” The fire appears to have started about mile up the trail near the bottom of the canyon. Since it started on July 22, the Soberanes Fire along California’s Big Sur coast has scorched at least 33,668 acres — an area nearly two and third times the size of Manhattan. Along the way it has destroyed 68 structures and resulted in the death of one bulldozer operator. More than 5,000 firefighters are battling the blaze, equipped with 511 fire engines, 40 water tenders, 14 helicopters, six air tankers, and 67 bulldozers. And after eight days, the Soberanes Fire is still just 15 percent contained. BIG SUR, Calif. — Crews battled a massive wildfire near California’s Big Sur that is threatening thousands of homes as it burns for the tenth day, while a much newer fire in Fresno County quickly spread, damaging homes as it more than doubled in size Sunday. The newer blaze had damaged some of the 200 evacuated homes in the area, but it wasn’t yet clear how many, the California Department of Forestry and Fire Protection said. The fatal blaze north of Big Sur grew Sunday to 62.5 square miles (161.87 square kilometers), state fire officials said. The wildfire has destroyed 57 homes and 11 outbuildings and is threatening 2,000 more structures. It was 18 percent contained Sunday morning. Firefighters struggled on Sunday to slow a deadly wildfire that has raged for 10 days near California’s Big Sur coast, destroying dozens of homes and forcing the evacuation of hundreds of residents and campers, authorities said. The so-called Soberanes Fire, which erupted on July 22 just south of Carmel-by-the-Sea, has grown to 40,000 acres (16,187 hectares) of parched chaparral and timberland in and around the Los Padres National Forest. “Firefighters are meeting challenges due to topography, fuel load, and dry humidity,” said Katherine Garver, a spokeswoman for the California Department of Forestry and Fire Protection (Cal Fire). “The fire is making runs into inaccessible areas.” Officials ordered evacuations for the famous Tassajara Zen Mountain Center in Pfeiffer Big Sur State Park and other areas on Sunday afternoon. Two Hotshot crews are fighting a 10-acre fire about six miles north of St. Regis, according to the U.S. Forest Service. The lightning-caused South Tamarack fire, burning in heavy blow-down timber in the Superior Ranger District, caused a smoke plume visible from St. Regis and Interstate 90, according to a Forest Service release. In addition to the Hotshots, two single-engine air tankers, two helicopters, two engines and a hand crew fought the blaze, and another Hotshot crew was on its way Friday. Wildfires are burning in seven Western U.S. states, from California’s famed Big Sur region to tribal towns and hamlets near Reno, Nevada. More than a dozen homes were destroyed in Montana, and evacuations were ordered in Nevada, Oregon and Wyoming. Firefighters were trying to stop a Washington blaze from reaching a thickly forested security zone at the Hanford Nuclear Reservation. …Higher humidity and lower temperatures on Monday helped firefighters battle a destructive wildfire that has scorched more than 63 square miles near the scenic Big Sur coast, while firefighters in Central California faced blistering heat as they worked to contain a blaze that burned rural homes and forced hundreds of evacuations near the small Fresno County town of Prather. …A southwest Idaho wildfire burning timber in rugged terrain and pushed by winds grew to 60 square miles Monday. Several lightning-caused fires continue to burn atop the Rim, but the Coconino National Forest fire crews are mostly letting them burn within defined areas, taking advantage of damp, monsoon conditions to use the forest to thin rather than destroy the forest. The Coconino Forest put out the following update on Friday morning: Fire managers on Coconino National Forest are using several lightning-caused fires to benefit the landscape by allowing them to burn in confined areas that have not seen fire in decades. The fires will consume heavy fuel accumulation—dead vegetation on the forest floor—which will cultivate healthier wildlife habitat by breaking down dead underbrush and releasing nutrients into the soil so new vegetation can thrive. ATHENS, Greece Nearly 200 firefighters, assisted by water-dropping aircraft, fire engines and volunteers, fought Monday to tame a large forest fire that raged through the Greek island of Evia for three days. No injuries were reported, but a village, a monastery and a small hotel were evacuated, while the blaze threatened the small seaside town of Limni overnight. The hotel was destroyed, along with a holiday home, a restaurant and a couple of outhouses. A ferry boat remained on standby, together with dozens of pleasure craft and fishing boats to evacuate Limni if necessary, but a change in the direction of the wind turned the flames away. The fire department said the front near Limni was showing signs of abating late Monday, but another one remained in full development elsewhere. Can a house where wood is burned for heat really be called green? After writing From the straw bale wrap to the lime plaster finishes, this cottage is as green as it gets there was a huge pushback from commenters who complained about the use of wood for heating. “…as green as it gets”? I would like to respectfully disagree. It’s unfortunate that “renewable” is now equated with “clean”, “green”, “healthy”, and “good-for-the-planet”. Yes, wood is renewable, but burning it as fuel has none of these positive attributes. And that was the one respectfully disagreeing. TreeHugger has never been in the “renewable is green” camp, complaining forever about biofuels and yes, biomass heating. But this is different. It is an issue we have looked at in TreeHugger before, asking Is burning wood for heat really green?, where I concluded that it really isn’t. Yet lots of very green people do, including Alex Wilson, founder of BuildingGreen, who knows more about the subject than anyone I know. So let’s look at the issue in terms of this particular house. Environmental leaders have stood alongside the Obama Administration on virtually every issue since day one. Yet on biomass energy, the two groups couldn’t be further apart. In a recent letter to his British counterpart, Agriculture secretary Tom Vilsack wrote glowingly of biomass – wood, grasses and other organic matter that can be used for fuel. Biomass, Vilsack notes, “increases our forested area, reduces greenhouse gas emissions, and improves U.S. forest management practices.” At the same time Obama Administration officials have been singing its praises, green groups such as the Natural Resources Defense Council have been irresponsibly vilifying biomass as environmentally disastrous. A commission put together by Maine legislature to study economic, environmental and energy benefits of Maine’s biomass industry is scheduled to hold its first meeting Aug. 2. The commission is required to report the results of its study and any recommendations for implemented legislation by the end of the year. This past April, Maine enacted a resolve establishing the 13-member commission. Members include two from the Senate and three from the House of Representatives. Four members are appointed by the president of the Senate, including a commercial wood harvester who supplies biomass, a representative of the biomass electric industry, a representative of a sawmill located in the state and a scientist from the University of Maine who studies forest health and silviculture.